The biggest music trivia game in the world. Now for your living room. If you love music, this game is made for you! 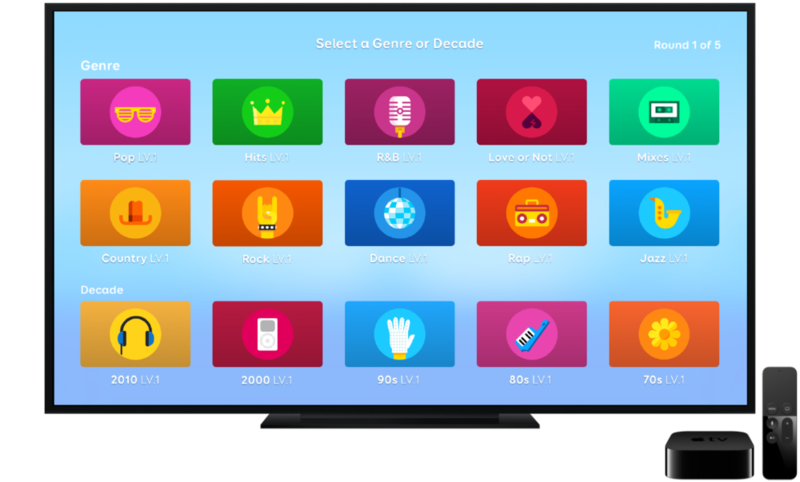 Exclusively designed for Apple TV, SongPop Party plays your favorite music to test and expand your knowledge. SongPop Party can be enjoyed alone or with up to 6 players at the same time. Search for "SongPop" on the Apple TV App Store to download it. Original SongPop gameplay, enjoyed by more than 100M players, re-imagined for your living room. Choose music from dozens of genres and decades. Listen to real music and guess songs and artists. Level up your favorite music categories and unlock hundreds of playlists! 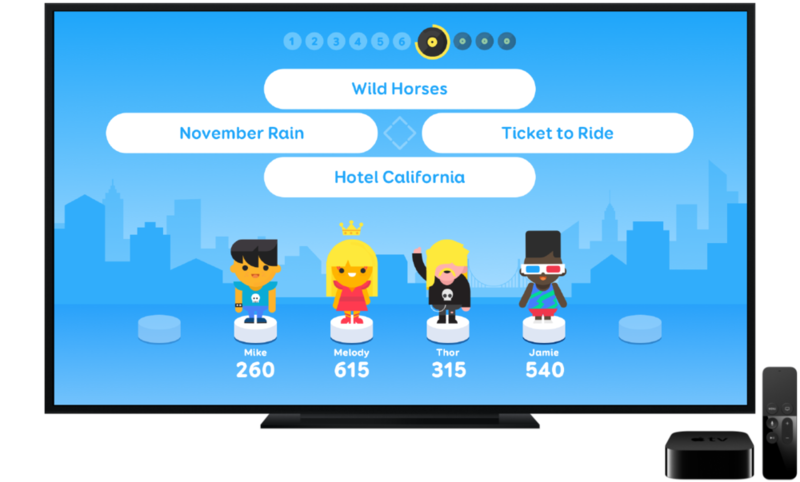 Use the SongPop Party iOS app on an iPhone, iPad or iPod Touch or MFI game controller to play with up to six people at the same time. SongPop Party is free to play and has no advertising. You can enjoy and unlock the whole game without buying anything. However, you can purchase in-game multipliers to speed things up and pay for access to specific playlists! This helps our small team to make updates and new games, but is completely optional. You can disable in-app purchases by adjusting your device settings.